In Egypt, you have the Nile. Today wasn’t any more or less stressful than any other day I’ve had here, although the bus ride home took the second place prize for “Longest Trip to Date,” the first being the Torture Tour (as Susannah aptly calls it) on our first day. The Torture Tour clocked in at an exhausting two hours while today’s excursion lagged with only an hour and a half. I’ve taken to playing the Sopranos theme song when caught in traffic here and pretending I’m actually on the NJ Turnpike. You’d be surprised at the similarities, and also the amount of Egyptians hanging off the backs of trucks and ogling you through the windows. 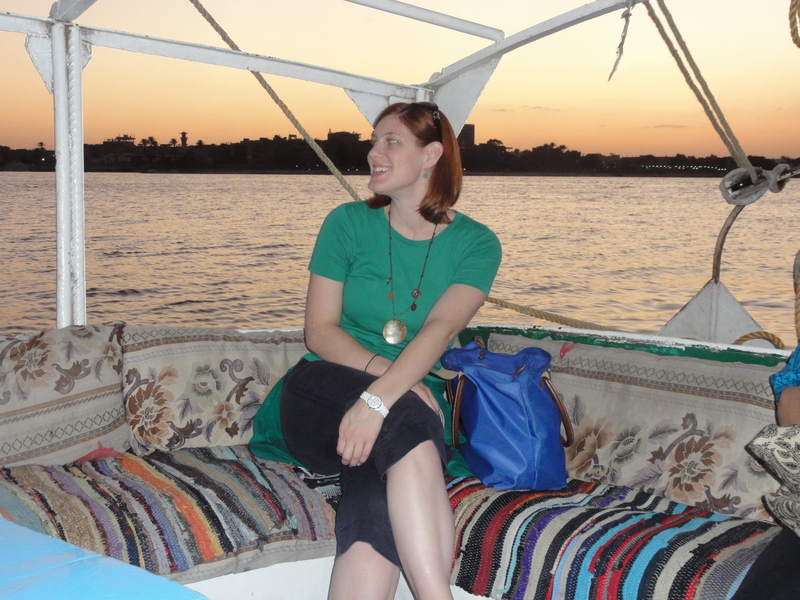 Anyway, Rebecca suggested a felucca ride on the Nile after school. A felucca is a small boat that just sails out into the river, cruises at a sluggish pace, and returns you to the launch point, a cultural landmark here in Egypt, the TGI Fridays. Generally, these rides are taken at sunset, but since we arrived home at 5:30, we got the dusk tour. 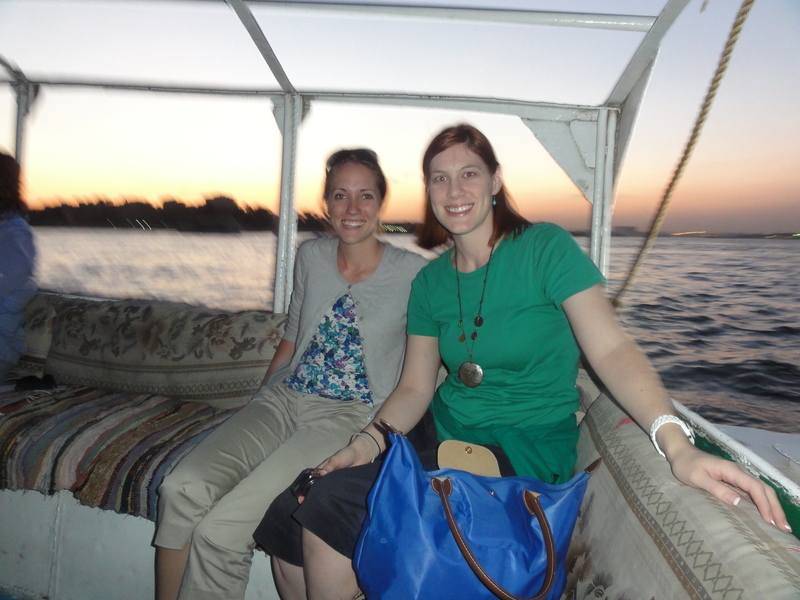 Regardless, you really can’t complain if you’re setting sail on the Nile. The price for seven of us was 50 LE, which is less than $10 US for an hour. 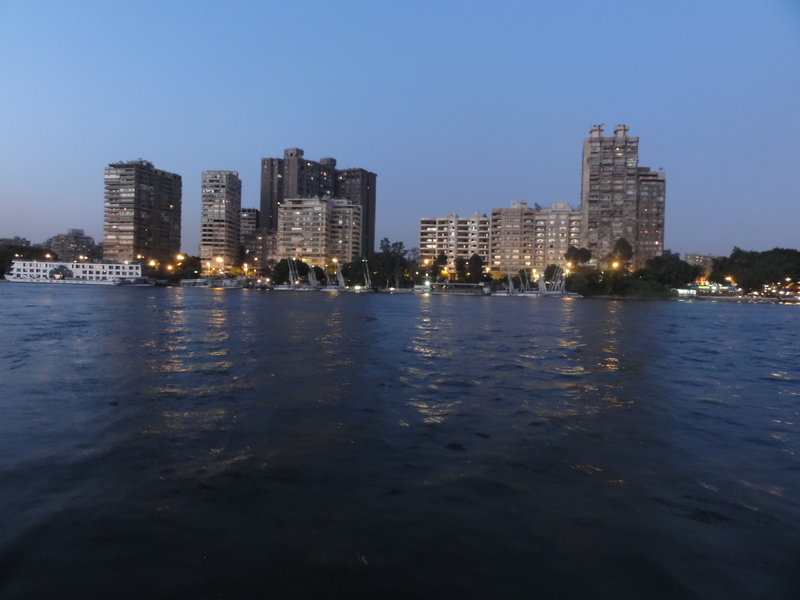 We got on and, amazingly, left most of the traffic noise and smog of Cairo back on the banks and sat in some sort of silence for an hour in the boat as the moon came up. Check out Facebook for more, since the internet is more compliant when it comes to uploading pictures en masse. It looks like a beautiful place, you adventurer!! !